It’s Shark Week! That time of year where Discovery Channel make some very dramatic documentaries about sharks and National Geographic’s research about climate change sending sharks into UK and Irish waters for their own Sharkfest caused lots of tabloids to lose their minds. So naturally here’s some facts on some of my favourite fish of all time. Sharks have been cruising our oceans for over 455 million years ago, long before the first dinosaur was even a concept. Although the general body plan hasn’t changed hugely since then (if it ain’t broke don’t fix it right?) some ancient sharks were weirdos. Cool, but weird. Stethacanthus, or the anvil shark, had a dorsal fin that looked like an anvil or iron, but scientists are unsure of what it was used for, but breeding rituals are a possibility. Another species, Edestus, had teeth like a pair of scissors, and would feed by thrashing its head up and down, a totally unique way of feeding. But even Megalodon can’t compete with Helicoprion, the buzzsaw shark. Its lower jaw formed a whorl of teeth (no, I’m not joking) and it was the first shark with the ability to regrow lost teeth. Sharks are so successful because they have several abilities that makes it easy for them to hunt, find mates and not get eaten themselves. They have excellent eyesight, including night vision, and can see in colour. Their sense of smell is legendary, though not quite to the “one drop of blood from a mile away” extent. They can also sense electrical signals, such as those involved in the heartbeat, electromagnetic fields (handy for navigation) and temperature. Ampullae of Lorenzini, small pits around the nose, eyes and mouth, which can pick up small changes in voltage. This ability is magnified in sharks with exaggerated faces, such as hammerheads and goblin sharks, and hammerheads use their heads like metal detectors to find tasty prey hidden under the sand. They can even take on stingrays like this, using their head to pin the unfortunate ray down. Their relatives, rays and skates, also have this ability. The torpedo ray takes this one step further and can give predators and prey electric shocks. Shocking. Shark skin is covered in tiny teeth known as dermal denticles, this gives shark’s skin its sandpaper-like roughness. But believe it or not, this helps the shark move faster and easier through the water by reducing drag. This allows mako sharks, the fastest sharks (they need to be, they hunt tuna) to reach speeds of about 60km/h! Swimsuit manufacturers are researching shark skin for this very purpose. Sharks don’t all hunt using super speed. Some are more sedentary, such as the wobbegong of Australia which hangs around, perfectly camouflaged, on the sea floor waiting for food to swim within reach, sort of like when I hang around events in college waiting for free pizza. The iconic whale and basking shark (the largest and second largest shark respectively) just cruise around with their mouth open to scoop up plankton. There is a lot more going on in a shark’s head than you might have thought. Great whites form orderly queues when feeding and use body language to show others when they’re not in the mood for socialising. 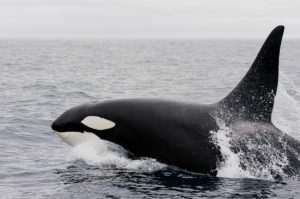 They even perform this behaviour with humans, only lashing out when their warnings (such as lowered pectoral fins and arched backs) are ignored. Lemon sharks are born in mangroves, and while growing up and learning how to be a shark, they often make a best friend, who stays with them for the seven or eight years it takes to grow up. Friendship is magical. Sharks also have super navigation skills and can trek across the oceans only to return to particular sites at the right time for them to be there, such as when there’s an abundance of food. No-one is quite sure how they do it. Manta rays, with the biggest brains of all fish, are believed to use mental landmarks when they travel to remember their way. They appear to have distinct personalities and have been reported to seek out divers to remove fishing line from their bodies. They are the largest rays, stretching eight meters from wingtip to wingtip. Alas, sharks are in trouble worldwide. By-catch, the shark fin industry, sport fishing and “revenge” culls which often happen after a shark attack, as well as over-fishing of other species have all taken their toll. It is estimated that 100 million sharks, or three sharks a second, are killed each year. Sharks are keystone species, meaning that ecosystems suffer when they are taken out of it. As sharks maintain healthy seas through predation, and as we all rely on the sea, we need to keep sharks in them. Thankfully, the bad image sharks have been given is slowly being eroded through education, and many people are fighting to preserve them, so all going well sharks will be swimming in our seas for a long time to come. Deep water sharks like cookie-cutters have caused problems to underwater infrastructure when they mistake the electrical signals given off by deep-sea cables and start chewing them. Oops. Deep-sea sharks like the cookie-cutter and lanternshark can glow in the dark! 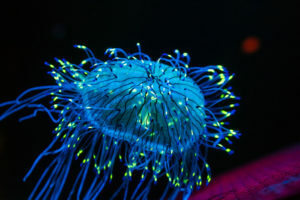 Check out our other article, Light it Up, for more information on bioluminescence. In 2017, only five people were killed by sharks worldwide, and most attacks on humans are not life-threatening. In 2017, 19% of attacks were provoked by humans. Go figure. There are steps you can take to lower your chances of attack even further! These include not swimming or surfing in areas sharks have been seen, especially at dawn or dusk, swimming in groups, avoiding shiny jewellery and swimming with strong strokes with minimal splashing. Bad luck boys, sharks are far more likely to attack men than women! Bull sharks can tolerate freshwater and have a reputation for going after people. They have been known to attack people standing in knee-height water. The fact that they are often found in murky water doesn’t help either. Oceanic whitetips used to be the most abundant shark species. However due to finning pressures their numbers are down by almost 99% in some places. Some sharks, like makos, salmon sharks and great whites, can raise their body temperature to a few degrees above the sea temperature, meaning they can be very active in cold water. This is handy for taking down fast, agile prey like salmon, tuna and marine mammals. The oldest vertebrate is the Greenland shark, with some found that were at least 272 years old with the potential of them making it to 512! The 1974 novel and resulting film Jaws is widely stated as one of the main influencers in the way sharks have been perceived. In fact, author Peter Benchley felt so bad at the reputation sharks gained as a result he spent the rest of his life as a spokesperson for shark conservation. Some sharks have been known to reproduce using parthenogenesis, or asexual reproduction, meaning they can produce viable offspring without a male. 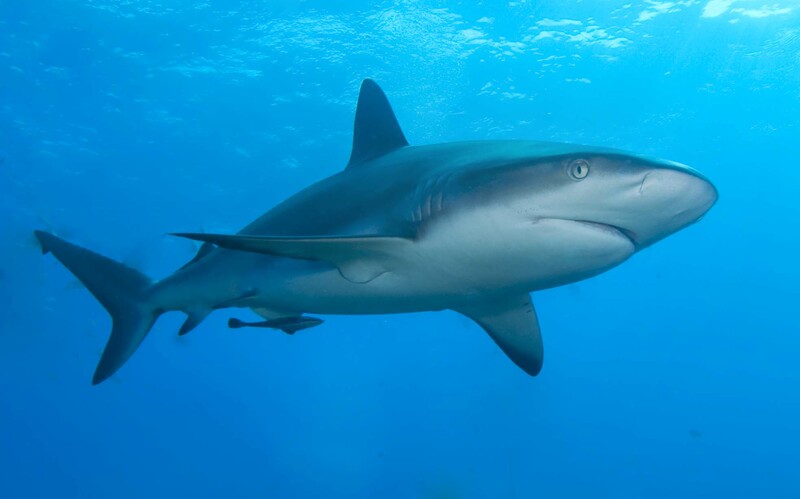 In fact, some intersex sharks which looked like males externally were found to be pregnant lately. Around 40 species of sharks have been recorded in UK waters, including hammerheads! Many of these are deep-sea species. The super cute epaulette shark can walk on land because it can tolerate low oxygen levels and has a special fin structure! If you flip a shark onto its back it goes into a trance-like state known as tonic immobility. Orcas have been known to attack great whites from below, flipping them over to take advantage of this.